Homes starting from the $370’s! If your work, education, or dreams have led you to look for a home in the heart of the Triangle, then a customized home at Judd Reserve might be just what you are looking for. Judd Reserve is within Fuquay-Varina, a small town with a welcoming community that is only minutes from the excitement of Raleigh, NC. Living in Judd Reserve provides residents with all of the amenities that come with residing in a sprawling city, but with the comfort that comes with small-town living. 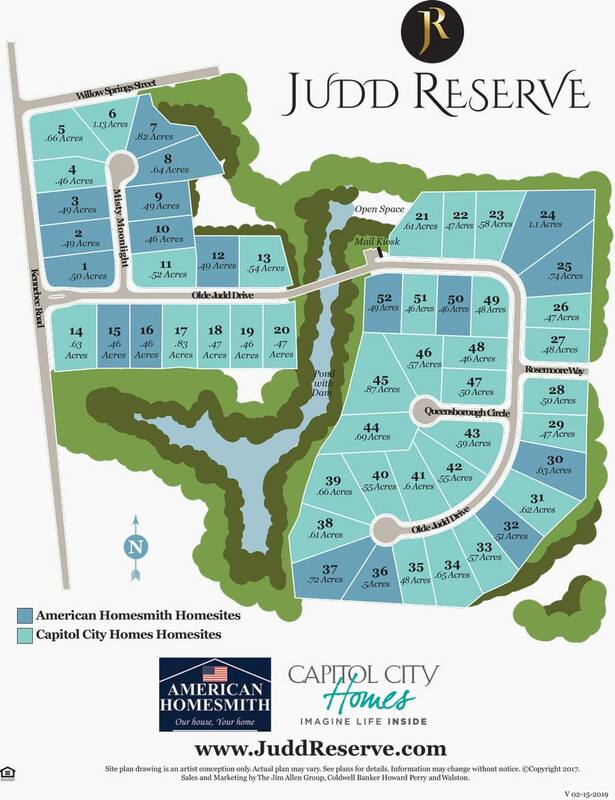 We hope you will take the time to learn about Judd Reserve and what it has to offer; you might just see this beautiful community as your new home! Start building on your New Home Site! Capitol City Homes, LLC is headquartered in Raleigh, North Carolina and builds new home in Raleigh, Wake Forest, Clayton, Chapel Hill and Pittsboro, NC. Founded by Triangle area construction professionals with more than 50 years of home building experience, we have built award-winning, high-performance new homes since 2009. 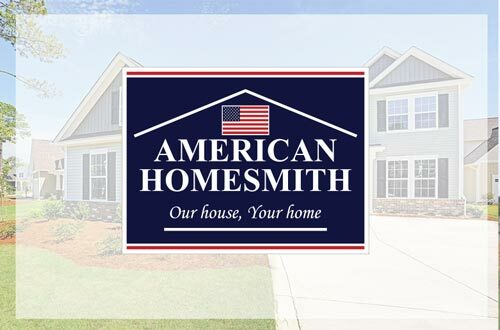 When it comes to finding your dream home, look no further than the home builders at American Homesmith. We are passionate about building stunning, quality homes in Central and Eastern North Carolina — including Wilmington, Hampstead, Fuquay-Varina, and more. Our mission is to help you find the home you’ve always wanted. We are not your ordinary home builder — we take the time to learn and understand the needs of our future homeowners. Let us be part of your journey to a new home! As you fall in love with your new home in Judd Reserve, you’ll spend time making memories in your new community. Don’t neglect to spend time outside with family and friends, though! Luckily, Fuquay-Varina offers plenty of parks for kids (and kids at heart) that everyone can enjoy together. >When you build a new home in Judd Reserve, you will be close to some exciting attractions that many current residents already enjoy. Check out just a few of our favorites! Southwest Wake County residents have access to some of the best restaurants around, and Fuquay-Varina has plenty of variety that will appeal to any taste. Whether you are looking for fine dining for a night out on the town, family-friendly establishments for the kids, or a quick bite to eat, you’re sure to find something tasty near your new home in Judd Reserve. Best Bakery:Stick Boy Bread Co. Directions: From US 401S/Fayetteville Road: Turn left onto Hwy 55 and a quick left onto Hwy 42. Then turn right onto Kennebec Road. Judd Reserve will be on the left after Willow Spring Street.